Charlie Brown (Noah Schnapp) gets infatuated with a new kid in the class, the Little Red-Haired girl. Since then, he exerts every effort to be noticed by her: he tries to top a standardized test, win in a talent show, join a school dance and lead a book report. As Charlie Brown goes through all these, he gets help from his faithful pet dog Snoopy (Bill Melendez) and the rest of the “Peanuts” gang. Will Charlie ever get the notice he so longs for? How far would he go in his infatuation? The movie is a charming adaptation of the popular comic strip. It is able to transform the original Peanuts appeal into moving images, animation and 3D effects while staying faithful to the original core and feel of the comic classic. This is one animation for children that does not resort to too much spectacle—just plain and simple classic comic strip turned into film: the characters, the artwork and the entire look is very much consistent with the original source. And at a time when movies and animations are expected to be grand, this is quite a gamble. 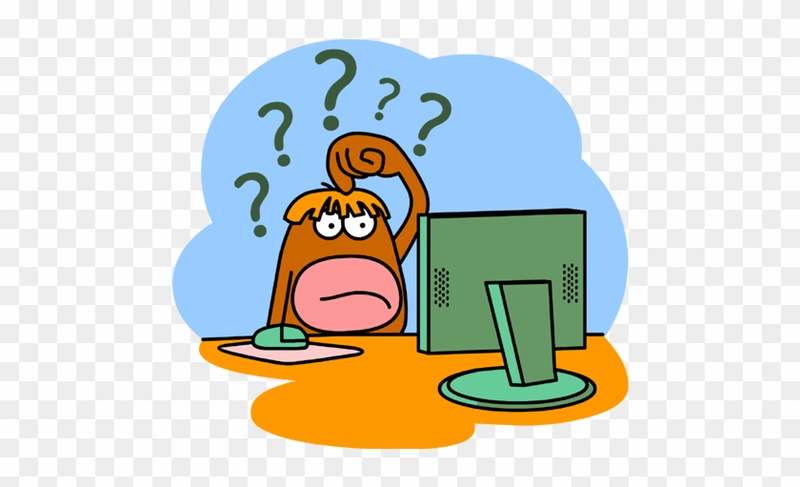 But the result is a breath of fresh air; the audience does not always see an animation in its utter simplicity. The story is pretty cohesive and does not distract itself from the central characters Snoopy and Charlie. Overall, Snoopy and Charlie Brown: the Peanuts movie is a delightful experience that followers of the popular comic strip will get nostalgic in seeing their favorite comic characters come to life. 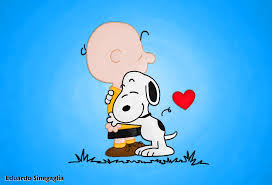 The heart and soul of Snoopy and Charlie Brown: The Peanuts Movie lies in the wholesomeness of its central message—that goodness and kindness is of ultimate importance in one’s character. Fame, intelligence, good looks are but fleeting and superficial traits and are nothing if those are not coupled with goodness. Charlie is one pure character that children should emulate. His honesty, kind-heartedness, and benevolence are commendable. Despite his weakness, he finds strength in meaning well in everything he does. He does not lose heart nor is tempted to cling on to something not truthful even if it would mean his humiliation and a possibility of rejection by other people, and much worse from the object of his infatuation. Now that is ultimate self-denial in the name of pure goodness. The film tells the audience clearly what really matters in life and in one’s character. In a world that puts too much premium on popularity and self-preservation, here is a movie that shows how it is to care for the other—to be courageous to take the ultimate sacrifice for the beloved, and to do what is right even if it is not necessarily popular, to be kind even at a time when it is very hard to be one. Macbeth (Michael Fassbender), a royal troop leader, is a big supporter of King Duncan (David Thewlis). He likewise wins the commendation of the king for his victorious battles. But Macbeth actually aims more than the praises of King Duncan. Together with his wife, Lady Macbeth (Marion Cotilliard) , they believe in the prophecies of the witches that Macbeth will be crowned king and cannot be killed by natural born human. During the village feast when King Duncan pronounces Malcolm (Jack Reynor) as his heir to the throne, the couple wait for the time for Macbeth to fulfil the prophecy. He kills King Duncan on his sleep with a dagger handed by the ghost of one of his killed soldiers. Malcolm is the first to discover, and decides to flee out of fear. His action makes him a suspect for the killing and spares Macbeth who becomes the King in the absence of Malcolm. But Macbeth, now king, remains unhappy because aside from having no heirs, the prophecy for the throne of the king favors Banquo (Paddy Considine) who has a son. So he sends assasins to kill Banquo and his son. But only Banquo is killed and the son flees. 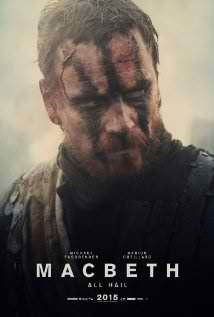 Macduff (Sean Harris) realizes the scheme of Macbeth and his wife, he searches and finds the earlier pronounced heir of the throne Malcolm. Macbeth, a Shakesperean poetry in motion, excels in most technical aspects of the film. As a novel adaptation it is seen with effort to level off par excellence with the equivalent literary classic by Shakespere. Fassbender and the rest of the cast gave their excellent acting. The director did well in his overall treatment of transforming the actors into the characters they are portraying. The delivery of lines were effective and meaningful. The production design has entirely created the requirement for the battle era that accommodated a huge number of extras for the crowd. The editing is clean and has good following of the story. It is good to have ambition. It helps set direction of what a person wants to achieve in life. However, if it is marked by greed and selfishness it may lead to his/her own demise. This is what happened to the main character of the film Macbeth. He was overwhelmed by praises of people for his victorious battles as a soldier. It led him to the grievous act of murdering innocent people. The wife is as selfish as the husband in the film. She prayed to the gods of darkness and believed in witches. She equally met her own shameful demise for her connivance. The film was concluded with justice served. However, the entire run of the film depicted selfish motives, senseless murders, praying to false gods, believing in hoax prophesy, and bad influence of women. The film may have given a lesson about pursuing ambition, but no solution was offered in the end. Into self-imposed retirement, high-powered political spin-doctor Jane Bodine (Sandra Bullock) is recruited to boost the campaign of a Bolivian presidential candidate, Senator Castillo (Joaquim de Almedia) who’s struggling in the election polls. In Bolivia, Bodine crosses paths with another American political strategist and archrival Pat Candy (Billy Bob Thornton), who’s working for Castillo’s rival candidate. The two American image-makers stop at nothing in the Dirty Tricks Department to make their respective employers win the election. When a movie stars big names like Sandra Bullock or Joaquim de Almeida, expectations run high: there must be integrity in the plot, topnotch acting, engaging dialogue, crisp editing, and over-all technical excellence that matches the brilliance of the stars. But while nothing seems terribly askew in Our brand is crisis, nothing is that breathtakingly flawless either. It’s the genre at fault: the movie apparently suffers from an identity crisis. As a satire it lacks bite, as a comedy the fun is forced, as a drama it doesn’t quite involve the viewer. Given the weight of the subject matter—manipulation of public opinion at all cost—and considering that it was co-produced by George Clooney—it could have packed more punch to become an unforgettable movie. Instead it bowed halfway in an effort to increase its box office appeal. 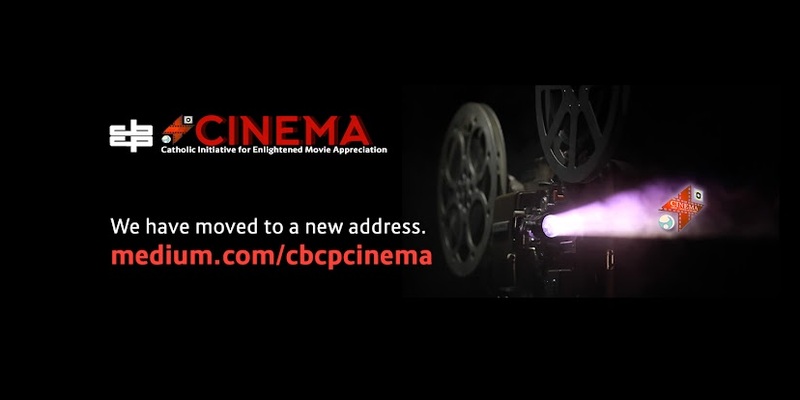 Saving the movie is its delicate, timely and timeless theme—earning a living out of marketing lies, deceiving people to win them over to your side, resorting to character assassination to disable the opposition. Our brand is crisis takes the political neophyte into a world where nothing can be called “pure” except the avarice that informs every action of an individual. There’s a young person in the story that the Filipino youth can resonate with—he is full of hope and trust in an older person he deems virtuous until something happens. The complete turnaround of one bothered character in the end is another saving grace. Sure Our brand is crisis uncovers the ruthlessness of money and power worshippers, but it also makes an unequivocal statement for the triumph of conscience. Magsisimula ang Walang Forever sa isang interview ng sikat na screenwriter na si Mia Nolasco (Jennylyn Mercado). Tatanungin siya kung saan siya humuhugot ng mga ideya para sa mga isinusulat niyang kwentong pangpelikula. Isisiwalat niya na bukod sa mga nakikita niyang pinagdaraanan ng ibang tao, ay ang mismong mga karanasan niya ang nagagamit niya para sa mga kuwento. Dito maihahantad ni Mia ang kuwento ng pag-iibigan nila ni Ethan Isaac (Jericho Rosales), paghihiwalay, pagtatagpong muli, at magtatapos ang pelikula sa pagpapakita ng kasalukuyang buhay ni Mia. May laman ang kuwento ng Walang forever, bagama’t hindi masyadong makinis at maliwanag ang pagkaka-juxtapose ng flashbacks sa tunay na buhay at mga film clips na tumutugon sa mga ito. Para tuloy kakailanganin mo pang panoorin ulit ang pelikula para mapagdugtong-dugtong ang mga eksenang naturan, at hanguin ang buong love story nila mula rito. Sa paningin ng CINEMA, ang nakalilitong paglalahad ng kuwento ang “nakakapilay” sa technical aspect ng hinirang na “Best Film” ng ika-41 Metromanila Film Festival. Ang ibang aspeto naman tulad ng sinematograpiya, tunog, musika, production sets, ay pawang akma sa pagsulong ng istorya. Ang pinakamagaling na sandata ng Walang forever ay ang hindi matatawarang kakayahan sa pagganap nila Mercado at Rosales, at kahit hindi ganoong kabigat ang hamon ng pelikulang ito sa kanilang husay bilang mga artista, ay kapuna-punang ibinuhos pa rin nila ang kanilang sarili sa kani-kaniyang mga papel. Pinahahalagahan ng pelikula ang pagmamahalan ng isang babae at isang lalaki nang walang takot sa anumang pagsubok na darating, isang bagay na tila kinatatabangan na ng ilang mga kabataan sa kasalukuyan. 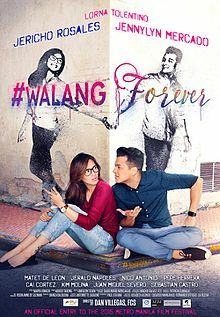 Sa panahong nanganganib na ang “forever” sa mga nagliligawan at nagrerelasyon dahil na rin sa makasariling pag-iwas sa commitment, pinaninindigan ng Walang forever ang pagkakaroon ng makabuluhang pagmamahalang nagpapakasakit alang-alang sa “forever”. Sa puntong ito, pinatototohanan ng Walang forever na sa kabila ng lahat, sadyang mayroong “forever” na maaasahan at matatamo ng bawa’t nilalang na umiibig nang tapat. Kuwento ng limang pinagtagni-tagning buhay at pagnanasa, mapapadpad ang limang pangunahing tauhan sa misteryosong tindahan ni Santi (TJ Trinidad) na magbibigay kasagutan sa mga ninanasa nilang makamit sa buhay. Si Odie (Vhong Navarro) ay isang photojournalist na nag-aasam na makagawa ng malaking pangalan sa industriya tulad ng kanyang yumaong ama at mapatunayan sa kanyang boss na siya ay magaling. Si Chloe (Alex Gonzaga) naman ay nagnanais na maging sikat na mang-aaawit ngunit wala naman siyang natatanging tinig para makapasok sa showbiz. Si Ato (Rayver Cruz) naman ay isang chef na nag-aasam na palaguin ang kanyang restaurant business sa pamamagitan ng pange-enganyo sa mas marami pang customers na makakatikim ng kanyang lutuin. Si Pippa (John Lapuz) ay nagnanais na mapansin at mahalin ng kapwa niya mga lalaki. Habang si Maita (Lotlot de Leon) naman ay nagnanais na makabalik sa kanyang kabataan upang buhayin ang pagnanasang maibalik ang naudlot na kasikatan sa showbiz. Lahat silaý bibili sa tindahan ni Santi. Matutupad ng mga ito ang kanilang inaasam ngunit lingid sa kanilang kaalaman, may malaki itong kabayaran. Bagama’t sadyang mahirap mapagkasya ang limang kuwento sa limitadong oras ng pelikula, naging matagumpay naman kahit paano ang Buy now, die later sa pagtatahi ng limang iba’t-ibang kuwento. Naging malikhain ang kuwentista ng pelikulang ito sa paglalarawan ng limang kuwento gamit ang mga makabuluhang simbolo. Nagbigay aliw sa pelikula sa pamamagitan ng magandang disenyo, mahuhusay na artista, at tapat na hangaring makapaghatid ng bagong putahe at magandang aral gamit ang sining ng pelikula. Sa pelikulang ito ay maaaliw at mapapaisip ang manonood ng sabay. Sa limang kuwento, kaabang-abang ang kay Ato at Pippa…ngunit di rin nagpahuli ang kuwento ni Maita. Sa kabuuan, iniangat ng pelikulang ito ang panlasa ng manonood sa komedya sa pamamagitan ng paghahain ng makabagong uri ng sining sa pelikula. Sayang nga lang at limitado ang oras ng pelikula, disinsana’y, nabigyan ng pantay-pantay na bigat ang limang kuwento. Hitik sa mensahe ang Buy now, die later. Ipinakita ng pelikula kung paanong kumikilos ang demonyo sa buhay ng isang tao sa pamamagitan ng pag-aakit nito na busugin ang anumang pagnanasa na hindi isinasaalang-alang ang Diyos at ang kapwa. Ang ating mga pangunahing kakayanan tulad ng paningin, pandinig, panlasa, pandama at pang-amoy ay dapat higit sa lahat ay ginagamit sa kabutihan—ngunit nang dahil sa pagiging makasarili, nagiging tulay ang mga ito ng pagkakasala. Sa paghahanap ng mga tauhan ng mga bagay sa buhay na nagdudulot ng panandaliang ligaya, panandaliang aliw, panandaliang kasikatan, panandaliang pagmamahal, ang napala nila ay kapahamakan at kawalang katahimikan. Bilang mga taong likha ng Diyos, gaano man katindi ang isang pagnanasa, biniyayaan ang tao na mag-isip at pumili ng tama. Si Santi bilang simbolo ng demonyo at tukso ay ipinakitang nagbabalatkayo sa maganda at mapang-akit na anyo. Sa kabuuan, naihatid ng pelikula ang mensaheng ang tao ay dapat ituon ang kanyang pansin sa dapat at nararapat tungo sa kabutihan ng nakakarami. Sakaling magkamali at magkasala, laging hindi pa huli ang lahat upang ipaglaban ang kabutihan—at ito ay naisasakatuparan sa pamamagitan ng pagsasakripisyo at paggawa ng kabutihan. Dahil sa mabigat na tema ng pelikula, minamarapat ng CINEMA na sa mga kabataan edad 14 pataas lamang ito ipakita, at kailangang gabayang mabuti ng mga magulang ang mga batang manonood na may gulang 13 pababa. May kakayahan si Ella (Janella Salvador) na makakita ng mga multo—mayroon siya ng tinatawag na “third eye”—ngunit hindi palagay ang kanyang loob tungkol dito. Sa pakiramdam niya, “weird” siya sa paningin ng iba, lalo na’t binu-bully siya ng mga ilang mga kaeskuwela niya dahil dito. Subalit hindi niya mapaglabanan ang kakayahan niyang ito. Magkakaroon ng isang retreat silang mga magkakamag-aral sa isang luma at malaking bahay sa isang ilang na lugar sa probinsiya. Malalaman nilang lahat na pinaninirahan ang naturang mansion ng mga multo, ang ilang sa kanila ay tila hindi matahimik pagkat may gustong ipaalam na katotohanan, at ang ilan naman ay tangkang saktan at paslangin ang mga nagre-retreat. Dahil sa mga malalagim na pangyayari, kikilalanin na ng mga kasama niya ang kakayahan ni Ella, at matututhan na ring niyang tanggapin ang kanyang “third eye” kung ito ang makapagliligtas sa kanila. Madaling sundan ang pahayag ng Haunted mansion. Kahit na marahil hindi ka naniniwala sa multo ngunit bukas ang iyong isipan sa laya ng sining, masasabi mong maganda ang daloy ng kuwento. Kahanga-hanga ang mga visual effects ng pelikula, siryoso ang kuwento, at dahil hindi nito ginagawang katatawanan ang katatakutan, higit na mataas ang antas nito sa karaniwang Pilipino horror movies. Maayos ang production sets, may angkop na tugtugin, at nakapagbibigay ng tamang “mood” sa kuwento at mga eksena. Para sa isang baguhan sa pinilakang tabing, mahusay ang pagkakaganap ni Salvador (na nakilala sa teleseryeng OmyG), naibigay niya ang hinihingi ng ginampanang papel; gayon din ang kanyang mga kapwa artista/kamag-aral. Epektibo din bilang isang malupit na multo ang marilag na si Iza Calzado—sa kabila ng kanyang taglay na kagandahan, magaling niyang naisalarawan ang kaitimang-budhi ng kanyang karakter. Dahil dito naisip naming marami pang uri ng papel ang kayang-kayang gampanan ni Calzado. May ilang mga bagay ang mapupuna sa Haunted mansion. Ikauna, ang pagkakatuon ng mga isip ng mga estudyante sa ligawan, na parang iyon lamang ang dahilan kaya sila nasa eskuwelahan. Nasa retreat na ay kung anu-ano pang kalokohan ang inaatupag. Ikalawa, ang ugali ng ilang mga tao na makipaglaro sa panganib sa pamamagitan ng pagtawag sa mga yumao o paglibak sa kaluluwa ng mga ito. Ikatlo, ang labis na pagbibigay ng kapangyarihan sa mga multo o masasamang espiritu, at ang kakulangan naman ng kapanyarihan ng mga tao upang labanan ang mga iyon. Dapat nating isaisip na ang pinaka-makapangyarihan sa lahat ay ang Diyos, at walang dapat katakutan ang tao kungdi ang ibubunga ng pagsuway sa Kanyang kalooban. Mag-isang itinataguyod ng photographer na si Eric Villavicencio a.k.a Erika/Nathalia Nutreila (Vice Ganda) ang pagtatuguyod sa bunsong kapatid na si Abi (Nadine Samonte) at dalawang pamangkin na iniwan sa kanya ng mga ina nito na si Edith (Valerie Concepcion). Mahirap ito para kay Erika lalo na ng magkaroon ng sakit na nakakabulag ang pamangkin na si Jimbo (Marco Masa). Puproblemahin nya ang panggastos para maisalba ang paningin nito. Samantala, maa-assign kay Eman Castillo (Coco Martin), isang police agent ang misyon na iligtas at proteksyunan ang nawawalang contestant ng Ms. Uniworld na si Nathalia Nutreila ng bansang Uzeklovakia. Napakahalaga ng misyon na ito kay Eman para sa kanyang promosyon at sa relasyon nila ng kanyang ama. Matalik na magkaibigan sina Eman at Erika bago pa nagladlad bilang bakla ang huli na siyang pagsisimulaan ng di nila pagkikibuan dahil may mararamdaman si Erika para kay Eman. Stratehiya naman ng bagong misyon ni Eman na humanap ng magpapanggap na Ms. Uzeklovakia sa Ms. Uniworld contest. Dahil sa pagkakahawig ni Erika sa kandidata ay lalapitan at aalukin ni Eman na tulungan siya nito sa misyon. Tatanggi sa simula pero papayag din sa kalaunan si Erika kapalit ng halaga na kailangan niya para mapagamot ang pamangkin at mahanap ang lumayas na kapatid na si Edith. Habang abala sa misyon si Erika ay si Abi ang mag-aasikaso sa mga eye check-up ni Jimbo sa doktor kung saan makikilala at makakapalagayang-loob niya si Tristan (James Reid) na kapatid sa ina ni Eman. Nakasentro sa sakripisyo para sa pamilya ng isang binabae sa halip na tipikal na paghahangad sa atensyon ng lalake ang pelikulang Beauty and the Bestie. May kababawan at di kapani-paniwala ang kwento subalit nabigyan ng magandang trato ng direktor at characterization ng mga nagsiganap. Payak ang mga linya at minsan ay may halong panunuya pero naging epektibong punchline na pampatawa at lahat ng nagsiganap ay naging kabahagi nito. Malikhain ang paggamit ng mga lengwaheng bakla bilang salitang banyaga at nakakaaliw ang mga eksenang ito sa pelikula. Mahusay ang pagganap ni Martin bilang kaibigan na mapagmalasakit, maunawain at may pagtanggap sa kabila ng hayagang pagkakagusto ni Erika sa kanya. Nakapaghatid ng excitement ang mga eksenang buwis-buhay dahil sa visual effects. Tama lamang ang disensyo ng produksyon, gayundin ang mga costume at make-up. Nakatulong ang mga ito na maibigay ang karampatang eksena. Nakadagdag sa paghahatid ng kilig ang tambalang Reid at Samonte. Mahahalata ito sa reaksyon ng mga manonood kapag may eksena ang dalawa. Sa kabila ng kababawan at mga tagpong corny ay nakakaaliw panoorin ang pelikulang Beauty and the Bestie. Anumang gampanin mayroon ang isang tao sa pamilya at sa propesyon ay dapat siyang maging responsable. Pinakita sa pelikulang Beauty and the Bestie na ang isang miyembro ay handang magsakripisyo para maitaguyod ang pangangailangan ng pamilya. Ang kabuhayan na naiwan ng magulang ay maaring pagyamanin upang mapagkunan ng pangtustos sa pangangailangan. At kung may magkasakit o matinding pangangailangan ang pamilya ay gagawin ang lahat; pwedeng isangtabi ang pride at ang nasaktang damdamin para maisalba at maisaayos ang buhay na nalagay sa peligro. Nakitaan ng pagbibigay ng tamang paggabay sa pananamit at pakikipagrelasyon bilang kuya o ate sa nakababatang kapatid. Kahanga-hanga din ang karakter na ginampanan ni Coco Martin, kung saan nakitaan ng kahinahunan sa sitwasyon, dignidad sa trabaho, paggalang sa magulang, malasakit sa kapwa, pagtanggap nang walang pagsasamantala sa kaibigang bakla. Malakas din na mensahe ng pelikula na maaring mangibabaw ang matapat na pagkakaibigan sa pagitan ng isang binabae at lalaki kaysa paghahangad ng higit pa.
Kapwa nasa event management business sina Vito Carillo (Vic Sotto) at Cora Talatala (AiAi Delas Alas). Madalas sila magkabanggaan dahil dito at aakusahan ang isa't isa ng sabotahe katulad ng sabay na event nila sa isang venue. Nakakatulong ni Vito sa negosyo ang kaisa-isang anak na dalaga si Anna (Maine Mendoza), gayundin ang kaisa-isang pamangkin ni Cora na si Dondie (Alden Richards) sa kanya. Lingid sa kaalaman nina Vito at Cora ay magkakakilala at magkakagustuhan ang dalawa. Sadyang ililihim nila ito nina Anna at Dondie dahil batid nila na tutulan lamang sila nito. Subalit mabibisto din sila at katulad ng inaasahan ay gagawa ng paraan Vito at Cora na paglayuin sila. Magiging daan ang pareho nilang layunin na paglayuin ang dalawa para magkasundo sa mga gagawing hakbang. Ang pagkakasundong ito nila Vito at Cora ay magiging dahilan para magkalapit sila. Malalaman nina Anna at Dondie ang madalas na paglabas ng ama at tiyahin at sila naman ang tutol dito. Kapwa nila susumbatan ang dalawa sa ginawang pagtutol din sa kanila. Ikakalungkot nina Vito at Cora ang reaksyon ng dalawa at tila mauunsyami nilang pagtitinginan. Katulad ng inaasahan sa pelikula na pinagsama-sama ang mga sikat na artista, pinilit na bigyan ng kanya-kanyang focus ang mga pangunahing tauhan kaya pilit din ang kwento ng My Bebe Love #Kilig Pa More. Nakadagdag pa dito ang sapilitang pagtambad ng iba't ibang advertisements ng mga produktong iniendorso nina Sotto, Mendoza at Richards na sa dami ng mga mapagsamantalang advertisers na ito ay sila na yata ang bumuo ng mga eksena. Hindi naman matatawaran ang kakayanan nina Sotto at De las Alas na magpatawa lalo na kapag magkaeksena silang dalawa. Medyo maingay lang ang pagganap niya bilang iritableng babae. Pero maganda ang tandem nina Delas Alas at Richards bilang magtiyahin gayundin sina Sotto at Mendoza bilang mag-ama. Nakasabay naman at nakitaan ng potensyal sa pagganap si Mendoza sa mga datihang artista. Epektibo sya sa pagbibigay ng mga hinihinging emosyon sa mga eksena. Maliban sa kahinaan at kawalang focus ng kwento ay maayos ang ibang teknikal na aspeto ng pelikula. Akma ang mga inilapat na tunog, musika at pag iilaw. Tama lamang ang disenyo ng produksyon at naipahatid ang hinihinging setting para sa mga kaganapan ng mga eksena. Epektibo ang mga kuha ng camera lalo na kina Mendoza at Richards. Huli nito ang kiliti upang kiligin ang manonood. Akma din ang costume at make-up katulad ng mga hinihinging corporate attires at ang make-over kay Delas Alas bilang Cora Talatala. Puno ng kumpetensya at tensyon ang mundo ng negosyo. Pero dahil sa inspirasyon ng pamilya at mga mahal sa buhay ay hinaharap ito ng mga responsable sa management. Subalit mas nakakadagdag ng tensyon at naaapektuhan ang pamilya kapag naging personal sa kumpetisyon. Maiiwasan sana ito kung aayon sa gasgas na kawikaan "trabaho lang, walang personalan". Katulad ng nangyari sa mga karakter nina Vito at Cora sa My Bebe Love #Kilig pa More. Kapwa may pinagdaanang kabiguan ang dalawa sa kani-kanilang relasyon at nafocus ang kanilang atensyon at panahon sa negosyo at pagtataguyod ng kani-kanilang pamangkin at anak sa katauhan nina Dondie at Anna. Maayos naman sana ang samahan nina Dondie at Cora bilang magtiyahin at sina Vito at Anna bilang mag-ama, pero sa punto na magkakagustuhan sina Dondie at Cora ay iiral ang personal na alitan sa negosyo at magiging dahilan ng pagtutol na maging maligaya ang dalawa. Sa parte naman ng pamangkin at anak ay mapipilitan na maglihim at sumuway sa tiyahin at ama hanggang tuluyang magkalamat ang dating magandang samahan. Ang nakapagtataka lang na sa konsteksto ng pelikula ay nasa sapat na gulang at mga katuwang na negosyo ang dalawa para pigilan pa na makipagrelasyon ang dalawa. Mababaw at makasarili ang dahilan ng pagtutol, lalo na’t sila rin naman palang mga nakatatanda ang magkakagustuhan at bibigay sa kanilang mga kahinaan. Kung hindi ba naman, bakit kailangang mag-check-in sila sa iisang kwarto. Ang pag-ibig na totoo at karapat-dapat ay dapat ipaglaban at maging matapang na harapin ang anumang balakid. Simple ang buhay ng mag-asawang Kaye (Soriano) at Edgar (Cruz). Kaya lamang ay hindi kuntento si Kaye sa kita niya sa pagtuturo kaya’t pinasok na rin niya ang negosyo ng kanyang ama. Dahil relihiyosa ay madali niyang makukumbinsi ang kanyang mga kasamahan sa kongregasyong kanyang sinasambahan na mag-ambag ng malaking investment dito. Ngunit hindi maisosoli ni Kaye ang ipinangakong kita sa takdang panahon. Dito niya makikilala ang tunay na ugali ng kanyang mga kasamahan sa simbahan dahil pagbabantaan ng mga ito ang pamilya dahil sa anim na milyong pagkakautang. Mapipilitang manghimasok si Edgar upang protektahan ang kanyang mag-ina at lalapit siya sa kanyang mga kapatid. Sila pala ay dating mga kasamahan ng Acetelyne Gang at babalakin nilang looban ang mismong simbahan na kinabibilangan ng mag-asawa. Simple din ang kwento at walang paliguy-ligoy na nasusundan natin ang kalooban ng isang desperadong amang handang gawin ang lahat para sa kanyang pamilya. Ibang-ibang John Lloyd ang mapapanod dito na lalong nagpaigting sa katauhan ni Edgar. Matalino ang pagkakasulat ni Yamamoto at ang paghahabi ng daloy ng kwento ni Matti dahil sa bawat eksena ay nakaabang ang manunuod kung anu ang susunod na mangyayari. May respeto ni Matti sa manunuod kaya’t hindi niya isinubo ang mga detalye o ang emosyon. May tiwala siya na kayang timbangin at pagdugtungin ng manunuod ang naratibo sa mga masasakit na pasabog sa lipunang ginagawalan ni Edgar. Ang kwento at ang pagkakakwento ang pinakamahusay na aspeto ng Honor thy father dahil isa ito sa mga pelikulang lokal na kailangan masusi ang manunood. Tila naubusan ng kabutihang loob ang mga tao sa Honor thy father. Wala ni isa sa mga tauhan ang kinakitaan ng malasakit at paggalang sa kapwa, kababaang loob, at kagandahang asal. Sa isang banda, marahil ito ay isang pagsilip sa masakit na katotohanan sa kasalukuyang lagay ng lipunan, pero sa kabilang banda, ganito ba kadaling husgahan ang isang salinlahi at sabihing wala nang puwang para sa malasakit at kabutihan? Walang paliguy-ligoy na isinusupalpal sa mukha ng manunuod ang paglubog ng moralidad ng mga lipunan sa pelikula, walang pagtatago sa relihiyon, o tradisyon para lamang maging mas katanggap-tanggap sa mga konserbatibo. Wala ring pagsusumikap na bumawi sa lahat ng kasamaang nangibabaw sa mga tao at biglang magkaroon ng pagbabagong-loob o pagsisisi. Walang pagkukunwari ang pelikula at naging matagumpay ang sining ni Matti at kwento ni Yamamoto. Kaya nga lang, mahirap, lalo sa mga kabataang di pa sanay kumilatis ng produksyon, ang lumabas sa isang maganda at masining na pagtatanghal na lugmok sa kawalan ng pag-asa at pagkanegatibo ng buhay (lalo na’t ang pinag-uusapan ay may kaugnayan sa relihiyon). Walang kahihiyang ipinahahayag ng pelikula na ang pera ay umaalipin sa prinsipiyo at moralidad at sa oras ng kagipitan mas madaling piliin ang madaling paraan, masama man ang maging kahinatnan nito. Tila ba kasamaan ang nasa kaibuturan ng puso ng tao. Totoo na ang kasamaan ay nandiyan lamang at biglang susulpot nang walang pasintabi, ngunit hindi naman totoo na walang kahit isang mabuting kaloobang lalaban dito sa pamamagitan ng pagmamahal, sakripisyo, integridad at pag-uunawa. Ang pelikula ay mainam na gamiting halimbawa ng masining na produksyon o simula ng debate ukol sa moralidad, pero maaaring makapagligaw ito sa murang isipan ng manunuod o sa mga taong walang kakayahang manimbang sa pagitan ng desperadong katotohanan at kathang-isip. Matapos ang labinlimang taon na pamamayagpag sa ere, magbibitiw ang “love expert” at “relationship guru” na si Love (Kris Aquino) at magnanais na magpahinga at makalimot sandali sa labis na kalungkutan. Magpupunta siya ng Coron at doon ay makikilala niya si Dom (Derek Ramsay). Doon din mapapadpad si Anya (Kim Chiu) na paninindigan ang pagpapanggap na siya ang manager ng nasabing resort, sa pagpupumilit ng high school sweetheart niyang si Dino (Xian Lim) – ito ay upang pagtakpan ang tunay na kalagayan ni Anya sa kanilang mga kaklase. Sa totoo, si Anya ay isang tutor at ang kanyang tinuturuang bata na si Jake (Bimby Aquino) ay in-love sa kanya. Ang nanay naman ni Jake na si Mel (Jodi Sta. Maria) ay unti-unting nahuhulog ang loob sa boss niyang si Eric (Ian Veneracion) na dumadaan sa matinding pagkabigo sa pag-ibig. Habang ang teacher naman ni Jake na si Coring (Pokwang) ay patuloy na umaasa sa pag-ibig ng lalaking alam niyang hindi mapapasakanya. Samantala, ang matandang mag-asawa na sina Loise (Nova Villa) at Jaime (Ronaldo Valdez) ay dumaranas ng katabangan sa kanilang buhay may-asawa. Isang malaking ambisyon ang All You Need is Pag-Ibig. Sinubo nitong pagtagni-tagniin ang napakaraming kuwento ng iba’t-ibang uri (kundi man halos lahat na yata) ng pag-ibig. Malawak kung sa malawak ang nais nitong sakupin para sa limitadong oras at espasyo ng pelikula. Resulta’y maraming kuwento ang nagkulang ng sapat na lalim at daloy patungo sa resolusyon. Pawang nagmadali tuloy upang matapos lang. Pero sa kabila naman nito, hindi maitatanggi ang sinseridad ng pelikula na ipakita ang iba’t-ibang uri ng pag-ibig sa makabagong panahon. Sa dami ng kwento, napagtagumpayan pa rin naman nitong pagdugtong-dugtungin silang lahat. May mga kwentong sadyang naging sentro ng pelikula at maayos ang kinalabasan ng mga ito. Mahuhusay din ang pagganap nila Nova Villa, Ronaldo Valdez, Jodi Sta. Maria, Pokwang at maging si Kim Chiu. Maganda ang mga kuha ng pelikula at mahusay ang pagkaka-edit nito. Sa kabuuan, maituturing pa rin naming maayos ang All You Need is Pag-Ibig at napanindigan naman nito ang tema na nais nitong ipadama sa mga manonood. Hitik naman sa mensahe ng pag-ibig ang All You Need is Pag-ibig. Sinikap nitong imulat ang mata ng manonood sa kung ano ang tunay na mahalaga sa buhay—ang pagmamahal at mga relasyon, mapa ito pa man ay romantiko o pampamilya. Ang karakter ni Love ay patunay na sa kabila ng yaman at kasikatan, tanging pagmamahal pa rin ang pupuno at bubuo ng buhay at kasiyahan. Napagod at naubos ang kanyang lakas dahil wala na siyang pinagkukunan ng pagmamahal. Si Coring naman ay nagmamahal kahit pa hindi siya minamahal ngunit ang pagbibigay niya ng serbisyo at pagmamahal sa mga pamangkin ay isa na ring uri ng pagmamahal at ito ay kanyang mare-realize bandang dulo. Si Anya nama’y palutang-lutang sa buhay dahil sa hindi niya pagpapatawad sa kanyang ama. Nang buksan niya ang kanyang puso sa pagpapatawad at tunay na pagmamahal, magsisimula ring maging maayos ang kanyang buhay. Ang mga kabutihan naman ni Mel sa kanyang boss ay nagbunga rin ng maganda sa huli sa kabila ng masalimuot nitong pinagdaanan. Ang samahan naman nila Loise at Jaime ay patunay na may forever sa pagmamahalan—lamang, ang pag-ibig ay tulad ng isang halaman na dapat ay patuloy na inaalagan at dinidiligan upang hindi ito mamatay. Bagama’t hindi naipakita sa pelikula ang pinakadakilang pagmamahal—ang pagmamahal ng Diyos na laging nariyan sa mga sandali ng pag-iisa at kalungkutan, ang pagmamahal na laging tapat at sapat—may isang mahalagang eksena sa simula ng pelikula na pawang mensahe na rin ng pagmamahal ng Diyos. Ipinakitang sumuko si “romantic love” sa Diyos, pero ang sinabi ng Diyos sa kanya ay ipamahagi niya ang kanyang sarili tulad ng kanyang ginagawa. At tunay ngang ito ang pinakamatinding mensahe ng pelikula ukol sa pag-ibig—na ito ay unang ibinabahagi at pinapalaganap—at siguradong ikaw ay makakatanggap. 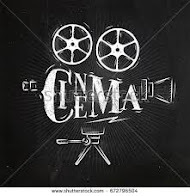 May mga ilang eksena nga lang sa pelikula na hindi angkop sa mga bata, kaya’t sa ganang CINEMA, ang pelikula ay nararapat lamang sa mga manonood na edad 14 pataas.